I am pleased that you are considering Chai Preschool to meet the early childhood education needs for your child. I am confident that you will be pleased with the quality and dedication of our staff, the curriculum, and our facilities. Chai welcomes families from all walks of life to its preschool. Please read on below for more on the admissions process. Parents are to complete and submit a "Student Application Form" for each child. A non-refundable application fee of $75 must accompany this application. This phase occurs after all parts of the application have been received and the student and family visits are completed. Families are kept up to date on the status of each application, especially if teacher recommendations or school records have not been received. For each applicant, the Director meets with the faculty members who observed the student. The completed application is then discussed with the Admissions Committee. The last phase of the application process is notification and, if the student is accepted, issuance of an Enrollment Contract. The Enrollment Contract must be signed and returned within ten days with a non-refundable tuition deposit. The signed contract and deposit secure the applicant’s place at the Preschool. The deposit is credited against the second tuition installment. Please note that no application is considered until all parts of the application are received. If you need assistance in completing the application, or for any other information, please call the office. 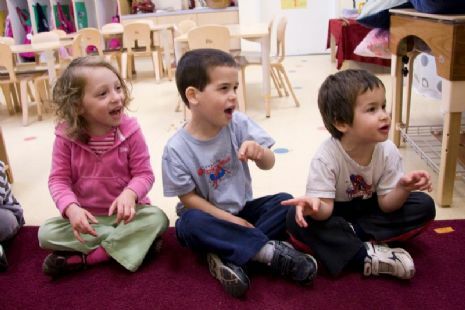 The Chai Preschool admits students of any race, color, national and ethnic origin in all the rights, programs, and activities generally accorded or made available to students at the school. It does not discriminate on the basis of race, color, national and ethnic origin in administration of its educational policies, scholarship programs, and athletic and other school administered programs.